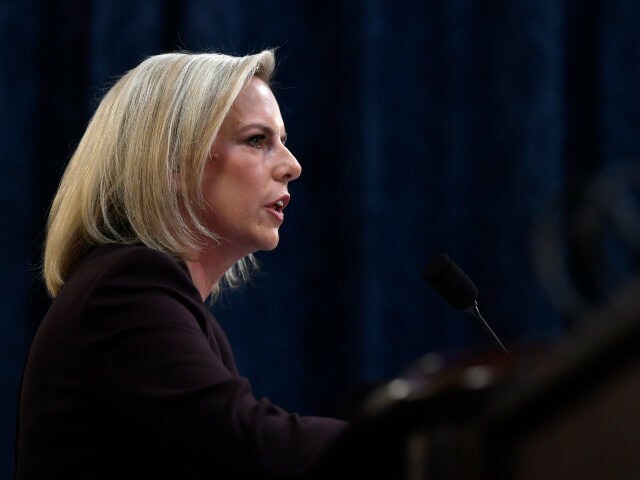 There is no information linking the New Zealand terror attacks against mosques to anyone in the United States, Department of Homeland Security (DHS) Secretary Kirstjen Nielsen said Friday afternoon. The Department is cognizant of the potential concerns members of Muslim-American communities may have as they gather at today’s congregational prayers. Communities with concerns should contact their local law enforcement agency, whom we are committed to supporting as they protect local mosques and reassure local community members. Religious liberty is a hallmark of this country. Attacks on peaceful people in their place of worship are abhorrent and will not be tolerated. The Department strongly stands with those of all faiths as they seek to worship in peace and we will continue to work with stakeholders to protect the ability of all to worship freely and without fear. We will continue to monitor the situation as the response to this tragedy unfolds and investigations continue. Thank you to the many community partners who work closely with the Department as we endeavor to keep our country safe from the threats we face. Nielsen’s department was formed to prevent a recurrence of the 9/11 atrocity by Islamic fanatics in New York; Washington, DC; and Pennsylvania. Since then, the agency has worked to prevent attacks by Muslim extremists and by other extremists, including racist groups. The department’s “Countering Violent Extremism” (CVE) strategy, however, has faced sharp criticism from Islamic groups in the United States and from critics of the Islamic groups. Read more about CVE here.